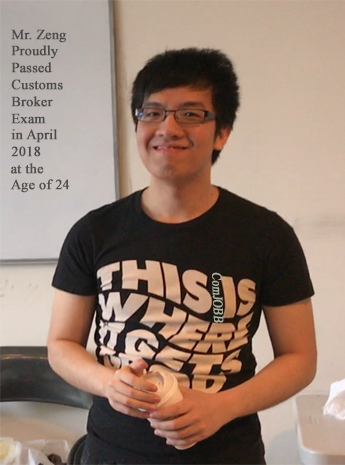 Congratulations to Mr. Chan at his age of 23, who joined ComJOBB in July, 2018, passed the customs broker exam on October 24, 2018. 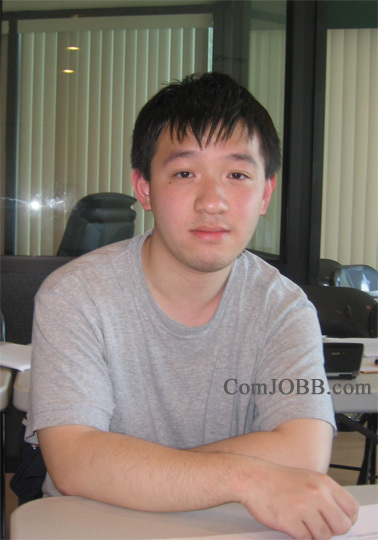 Very shortly, he got a real good job in November 2018 by ComJOBB's golden key referral. 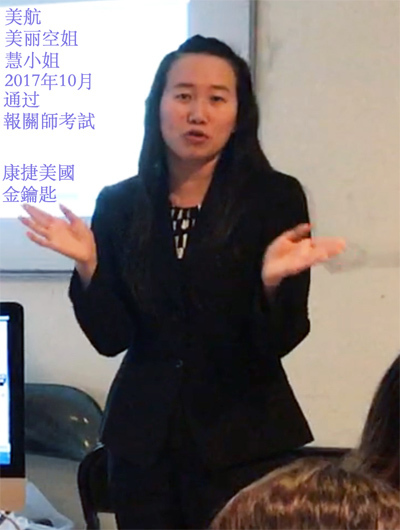 Ms Tang, passed the customs broker exam on October 24, 2018. 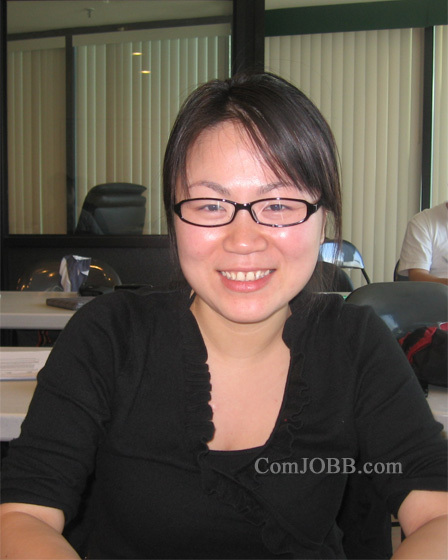 Very shortly, she got her professional job in January, 2019 with a leading customs brokerage company by ComJOBB's golden key referral. 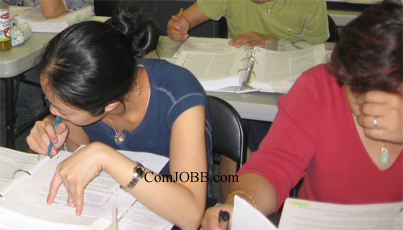 The April 7, 2014 customs broker license examination was conducted by CBP as scheduled all over the United States. 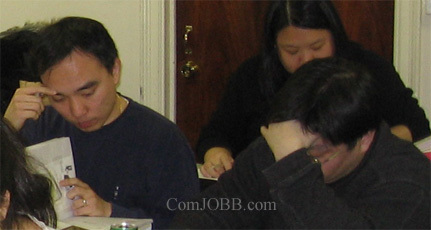 Responses from ComJOBB persons who took the exam in Houston, Los Angeles, Chicago, and New York are amazingly wonderful. 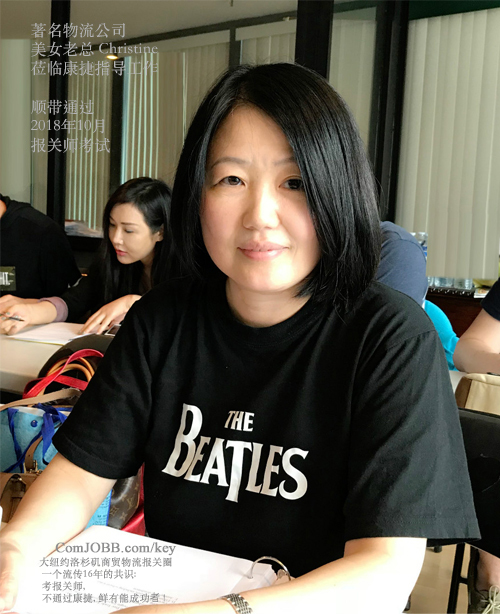 「I definitely passed the exam !」, Miss Zerah said with great confidence, who is now working at a customs brokerage firm in LA, with a ComJOBB background and a BS degree from Nanjing University. 「I did a great job in the exam ! 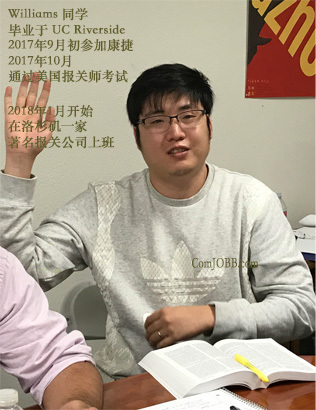 」, Mr. Zhu at the age of 23 replied to us very happily, who is currently doing ocean operations at a freight forwarder company in LA, with a ComJOBB background and a BS degree from UCLA. 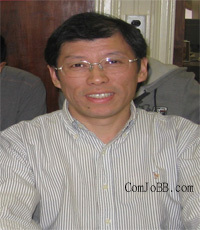 Mr. Zhang is expecting a perfect score closing to 100%, and is working at a customs brokerage company in New Jersey. We are waiting for the final formal examination results from CBP in the month of May, 2014. 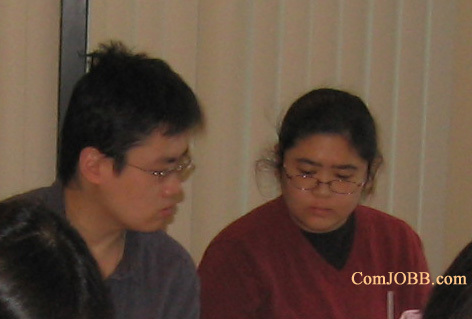 Ms. Joyce, with a major in international trading from Jiaotong University in China, joined ComJOBB US Customs Broker Program in November 2009. 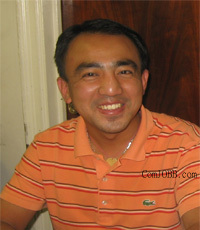 Immediately in December 2009, she got a forwarding operation position in JFK Airport in Jamaica, New York. In February 2010, she got a reward in her work due to her impressive performances. 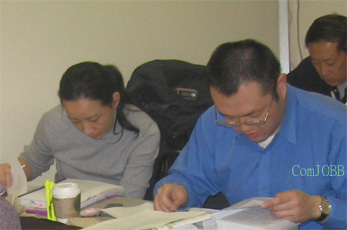 In April 2010, she passed US Customs Broker exam in her first attendance. 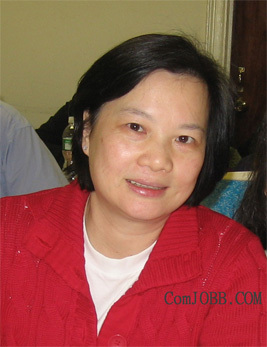 In August 2010, she became an employee of a giant logistics company with nearly 2,000 employees in the US and more than 20,000 employees all over the world. 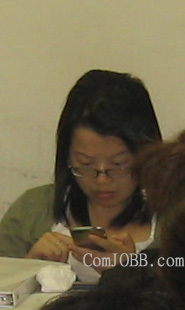 Now she is a division manager supervising a 10-person team in Baltimore branch office in Maryland since February 2012. 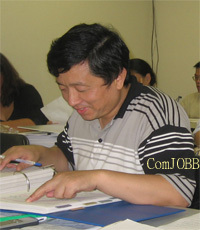 如果老師只有碩士學位, 要教Customs Broker Program 是否有足夠的水平? 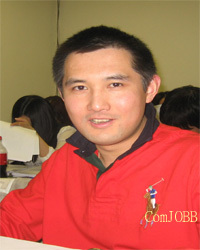 如果有培訓學校在教室里都很難說有任何成功的報關師培訓記錄, 你怎麼能相信其 online class 的成功的記錄 ? 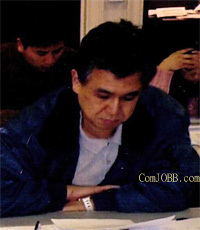 海關報關師培訓項目即不是紐約州教育局核准的免費項目，也不是紐約州勞工局核准的免費項目。 如果有學校向你提供政府資助的“免費”海關報關師培訓，那一定涉及欺詐政府的行為。 萬一出事，留下欺詐政府的記錄， 即使你通過報關師資格考試，最終也通不過執照核准前的身份背景調查。 到那時岂不是因小失大，功虧一潰嗎 ?! Customs brokers are individuals, partnerships, associations or corporations licensed, regulated and empowered by U.S. Customs and Border Protection (CBP) to assist importers and exporters in meeting Federal requirements governing imports and exports. Brokers submit necessary information and appropriate payments to CBP on behalf of their clients and charge them a fee for this service. 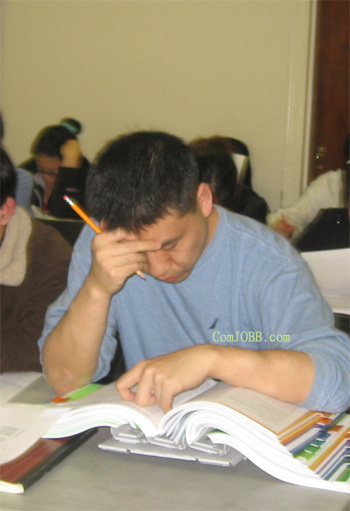 A: You have 4.5 hours to complete the examination. A: This examination is normally given at CBP service ports the fourth Wednesday in April and the fourth Wednesday in October. If that Wednesday is a religious holiday, the examination will be given the following Thursday. 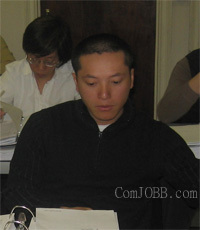 CBP must receive the examination registration application and $390 fee at least 30 days in advance of the examination. A: Yes, you must be a citizen on the date of the examination, not an officer or employee of the United States Government, and have attained the age of 18 years.